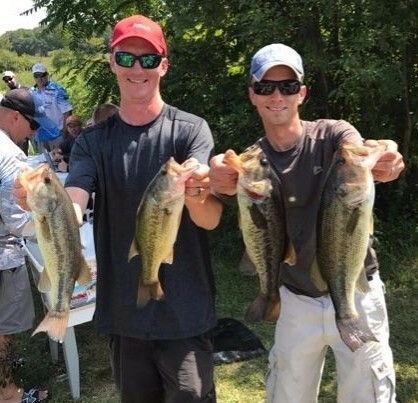 1st Place: Tom Noe & John Gipson, Jr. There was no magic spot, though. Working a single breakline first thing in the morning with a combination of the crankbait, drop shot, and jig produced those 20 keepers that included 4 of the 5 they would eventually weigh. 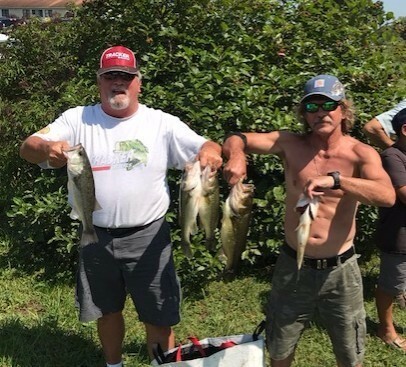 From that point, the bite slowed, but they still landed 10 more keepers over the next 5 ½ hours with the same baits, same depth, and on all three lakes. However, it only produced one cull. The key was to work the baits slowly, even the crankbait. 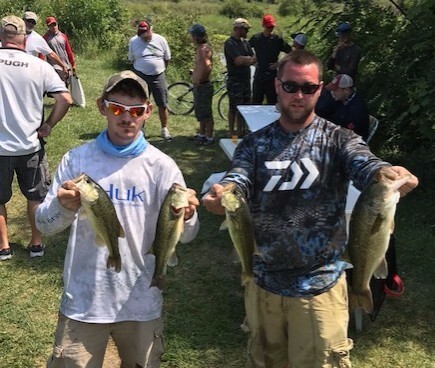 They recognized competitors close by, but not getting the same bites, and they were working their baits faster. Pattern: Both the inside and outside edge of the weedline between 6-12 feet of water on the Juno Chain. How it Happened: The morning bite was hot! 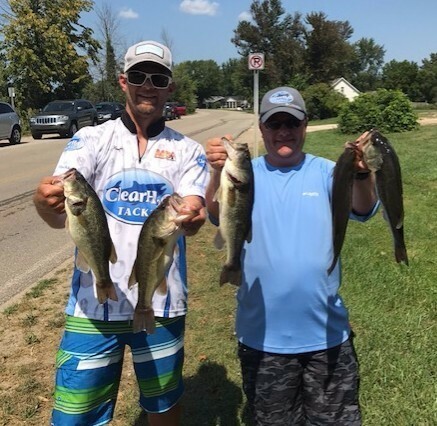 Along the same breakline as the winners, they quickly put together a limit by 8:00 with a combination of the crankbait and swimbait. By 10:00 they had landed nearly 20 keepers. At this point with a solid limit, the team decided to “swing for the fences” by targeting specific waypoints that have historically proven productive. Schaap admitted, “These spots are specific weedbeds or other structure,” and the plan almost worked to perfection. 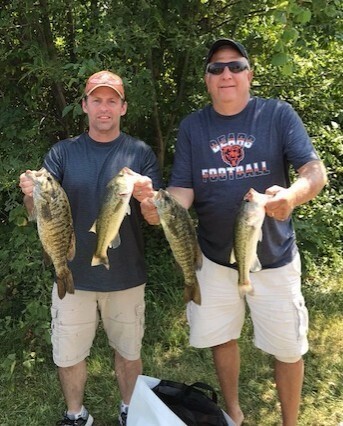 “We got our limit early and disciplined ourselves to leave the numbers for a kicker fish,” Schaap explained. “One spot after another, we got nothing, but we kept at it. Then at 1:30 Mike got a big bite on the C Flash and worked it all the way to the boat. Just as I was reaching with the net it came off!” It had pulled out the hook, and they estimate it between 4 ½ - 5 pounds. In the last two hours they caught 6 more keepers, including all 5 that were brought to the scales. The big fish bit a Texas rigged worm. Pattern: True junk fishing. 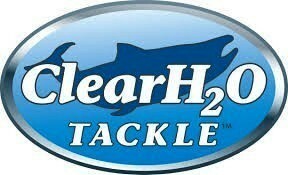 Fish were caught on 5 different baits by targeting docks, breaklines, matted and sparse weeds on the Juno Chain. 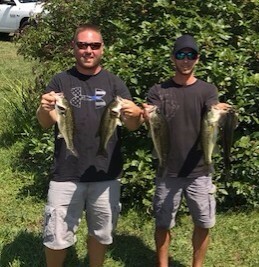 They rummaged through the lakes going from deep to shallow and landed 8 keepers. Their best fish was plucked with a crankbait. Two fish came on one cast! As Januchowski was working the bait, a keeper smallmouth and largemouth were both hooked on separate treble hooks. The only downfall to the day: “I only have one of those baits, and at the end, a pike bit it off!” he lamented.